Lula and Lenka have known each other all their lives. They are very different, Lula is messy and chatty, Lenka is super tidy and quiet. Lula likes dogs and Lenka prefers cats. However this isn’t a problem for them, in fact it helps them understand that people have different points of view. They do everything together until that is ‘The Day That Everything Goes Wrong.’ This is when a minor disagreement leads to a major falling out and they are no longer friends. Suddenly they both feel very alone. Is this really the end of their friendship? Perhaps helping to solve a dispute between two other girls might lead to their reconciliation. This is a story about the value of bonds between two very individuals with different perspectives on life. 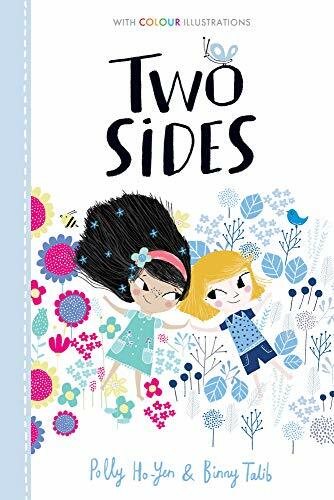 It explores the strength and the potential fragility of friendship and the impact its ups and downs can have on wellbeing; themes many young readers will relate to. Told from the perspective of both of the friends with a different font indicating a change of narrator, this is a beautifully designed hardback book with a fresh layout and stylish full colour illustrations. This title is part of a new series designed for newly independent readers from Stripes Publishing an imprint of Little Tiger Group.